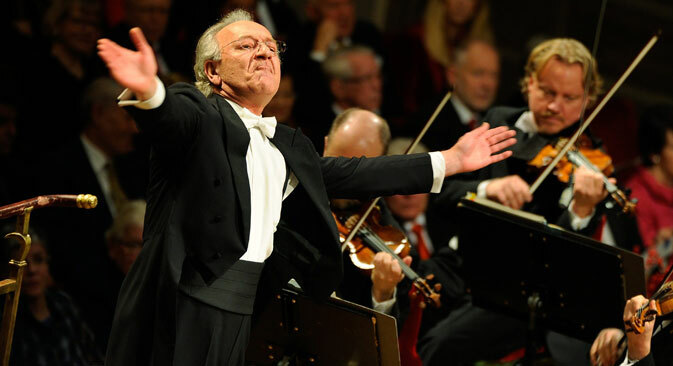 Yuri Temirkanov awarded 'A Life for Music' prize in Italy. Russian conductor Yuri Temirkanov has won one of the world's top music awards, Italy's Una Vita per la Musica ("A Life for Music"), unofficially known as the 'Nobel Prize' for musicians. The award ceremony took place in La Fenice theatre, Venice on April 2 where two days later Temirkanov performed with the theatre's symphony orchestra. Temirkanov is artistic director and chief conductor of the St Petersburg State Philharmonic Orchestra. He has also been a guest conductor at London's Royal Philharmonic Orchestra, The Bolshoi in Moscow and in Dresden. Other top international orchestras have also benefited from his skilled and flamboyant style, including Berlin, Vienna, New York and Amsterdam's Concertgebouw. Between 2008 and 2013 Temirkanov was musical director of the Royal Theatre of Parma, where he worked on a project devoted to the 200th anniversary of the birth of Giuseppe Verdi. The Una Vita per la Musica award was established in 1979 by Italian cultural activist and journalist Bruno Tosi. Its first laureate was Polish American pianist Arthur Rubinstein, who was regarded as the greatest interpreter of Chopin of his time. Russian cellist and conductor, Mstislav Rostropovich was awarded the prize in 1984.